When a race goes through sand, mud, and painful silt, has both freezing temperatures and grueling heat, climbs to elevations of nearly 15,000 feet above sea level and ends near sea level, you know it’s going to attract some of the most talented and downright crazy individuals on the planet. Welcome to Dakar. Here’s how to follow along. One of the most insane races on the planet—the Dakar Rally—is on right now, taking competitors through nearly 5,500 miles of unforgiving terrain. 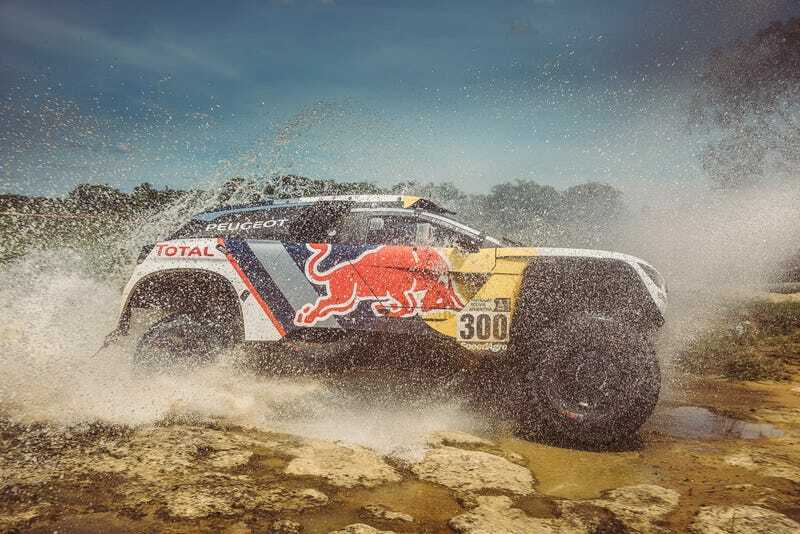 Dakar also started from a brand new country this year: Paraguay. The Dakar makes vehicles of all shapes and sizes go through a bunch of stuff meant to gum them up, flood them, bog them down or otherwise destroy it, and then has the gall to wait for them at the finish line. While we’ve already let our undying love for the adorably modified Fiat Panda 4x4 that’s attempting this year’s race known, the Dakar Rally put together a quick list above of their favorites for conquering the 13-day-long event, which includes of some of the most varied terrain on earth. There are five main types of vehicles attempting the Dakar this year: motorcycles, quads, UTVs, cars (vehicles of normal size), and trucks (the truly gigantic vehicles that are bigger than a small house). You can thumb through the full entry list here. Because the Dakar Rally is such a long and difficult race, it’s one of those epic feats that a little bit of everyone wants to try to overcome. Many of the names in cars are familiar to those of us who follow rally elsewhere. Ex-World Rally Championship stars Mikko Hirvonen and Martin Prokop are having a go at the race in a Mini and a Ford, respectively. Hirvonen’s old WRC nemesis and most successful WRC driver of all time Sébastien Loeb is there in a Peugeot. 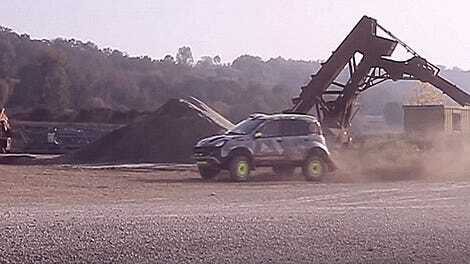 Two-time WRC champion and father of one of F1's rising superbabies Carlos Sainz is also competing in a Peugeot. Potential savior of Volkswagen’s stillborn 2017 Polo R WRC cars and two-time Dakar winner Nasser Al-Attiyah is also back in a Toyota Hilux, and he starts today in the lead after yesterday’s first stage. Occasional WRC dabbler, three-time 24 Hours of Le Mans winner, two-time Pikes Peak International Hill Climb winner and four-time 24 Hours of Nürburgring winner (phew) Romain Dumas is there in a Peugeot, too, because, well, of course he is. The United States’ best hope for conquering South America’s toughest terrain is Honda motorcycle rider Ricky Brabec, who is in second place after the first stage yesterday. Unfortunately, American Trophy Truck and Pro2 beast Bryce Menzies had to pull out of the race due to a lingering shoulder injury from a world-record jump attempt in August, per Motorsport.com. Beloved American off-roader and perpetual Dakar entrant Robby Gordon is also sitting out this year to tackle a number of other huge projects, reports NBC Sports. Ricky Brabec, you’re our only hope! Of course, Dakar has its fair share of its own stars, too. Stéphane Peterhansel is Mr. Dakar at this point, having won on both bikes and cars to become the winningest Dakar competitor of all time. He has an incredible 12 Dakar Rally wins to his name—including one from last year—and is in a Peugeot this year. Last year’s other winners Gerard de Rooy (Iveco truck), Marcos Patronelli (Yamaha quad), and Toby Price (KTM motorcycle) are also back this year. Last, but not least, beloved Dakar-driving brothers Tim and Tom Coronel are there in Suzukis this year. Their frequent updates and incredible attitude about one of the toughest races on the planet are always a joy to follow along. The Dakar Rally set off yesterday, and fortunately this year, many daily wrap-ups are being posted on the Dakar Rally’s official YouTube channel along with other cool tidbits from the race, including interviews, highlights, explainers and more. Already, the rally has seen Joan Barreda Bort’s bike hop just a bit too enthusiastically into deep water, and Al-Attiyah’s Toyota pretending to be part of Vape Nation. Ouch! Fortunately, it’s still early in the event, and Al-Attiyah made it out of the first stage in the lead, anyway. In addition to the daily recaps, you can also keep up with live timing on the Dakar website here, and a live feed of major happenings here. Many drivers and teams, including Tom Coronel and the Euro Veka MAN Rally Team, also post their own updates on YouTube throughout the rally. Tuesday, Jan. 3: 5:30 p.m.
Wednesday, Jan. 4: 6:30 p.m.
Thursday, Jan. 5: 6:30 p.m.
Friday, Jan. 6: 6:30 p.m.
Saturday, Jan. 7: 12:00 p.m.
Monday, Jan. 9: 12:00 a.m.; 6:30 p.m.
Tuesday, Jan. 10: 6:30 p.m.
Wednesday, Jan. 11: 6:30 p.m.
Thursday, Jan. 12: 6:30 p.m.
Friday, Jan. 13: 6:30 p.m.
Saturday, Jan. 14: 6:30 p.m.
A full schedule including replays can be found on NBC Sports’ website here. An international list of broadcasters can be found on Dakar’s website here. Dakar is a unique spectacle among racing events, with the most incredible off-road machinery driven by the lunatics crazy enough to attempt this ridiculously long and unpredictable race. Watch out for highlights and other assorted mayhem this week, because nothing on the planet puts vehicles and their drivers and riders through total hell like the Dakar Rally.